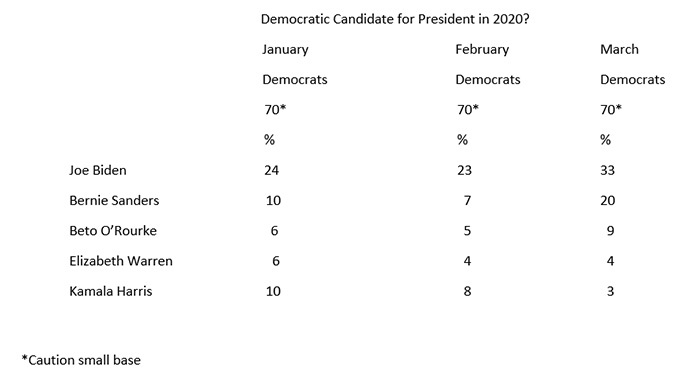 Joe Biden and Bernie Sanders are the early leaders for the Democratic nomination with Beto O’Rourke moving up to third position, followed by Elizabeth Warren and Kamala Harris falling back into the pack. The Fishlinger Center conducts online national surveys focusing on political issues in the United States. The fieldwork for the polls is conducted using a blended national panel from Survey Sampling Inc. Interviews were conducted January 7-March 29, 2019. The credibility interval for a sample of 1000 is 5 percentage points. 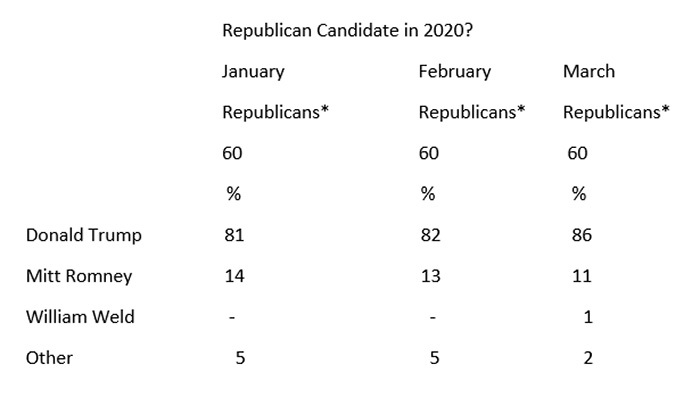 The credibility interval is larger for subgroups and for differences between polls.